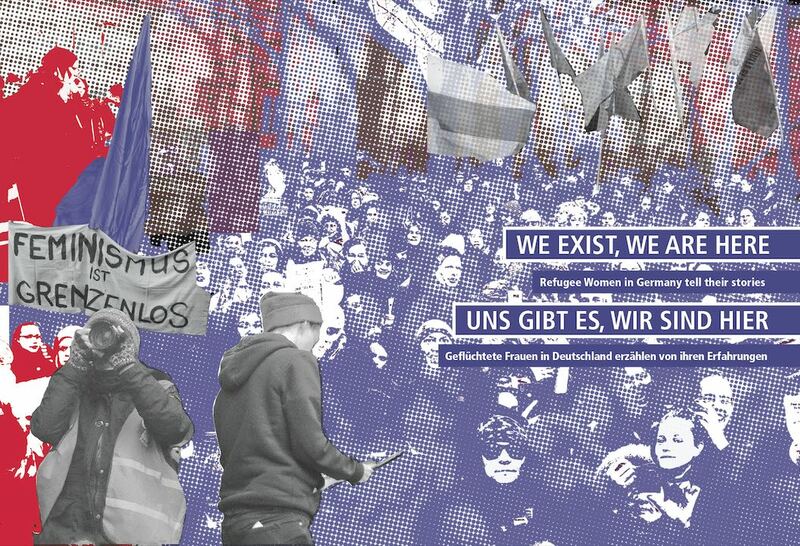 We women from the International Women Space won’t accept to be used by the AFD, Pegida, Bärgida, Bürgerwehr or by any other white supremacist troop of racists! The recent incidents in Köln during the new years’ eve are unacceptable. Women were sexually assaulted. The police watched and did nothing. Refugees or foreigners in general are being blamed for it as if in Germany there were no previous cases of sexualized violence against women, as if german men were harmless beings. Now take the way refugee women are living in the Lagers and see how much attention the same media, the same authorities give when there is a report of abuse. This is a clear case of explicit racism. White men can get away with the same crimes the men who acted in Köln are being accused of. Refugee women can be – and they are – harassed daily in the Notunterkünfte, Lager and the Patriarchy responds to it with a heavy silence. It makes no sense at all to make a big case out of what happened in Köln and other german cities when the reasons behind such a commotion are nothing but racist propaganda against refugees. No women will be ever safe in a society, which selects cases to be concerned with. All women must feel safe or no one is. There is much being spoken about integration, but the discussion is still permeated by racism and sexism. If we follow how the debate about what happened in Köln is being conducted, we see that there is no mention of the sexualized violence women of colour or the refugee women are going through. It is as if these women don’t deserve the same or any attention the white women victims deserve. So, we want to remind the public that when refugee women live in houses where they cannot even lock their rooms from inside, when they are living in small towns, being the stranger in the village, vulnerable to racist abuses and attacks, they are potential victims of sexualized violence. We must unite against the right wing extremist demagogic speech. It is outrageous to see men with a carrier in propagating hate now offering themselves as defenders of women’s rights. To see politians from all parties considering closing borders and some openly advocating faster deportations in the name of protecting women is at least disgraceful. We say: not in our name! Dies ist eine Einladung mit uns zu reden. Sie müssen uns anhören! Wir meinen es sehr ernst. Wir befinden uns in Bewegung und wollen in der Schule ein richtiges Refugee-Center von Refugees für Refugees aufbauen. 1. Social Center: Wir wollen, dass das Pavillion-Gebäude ein offenes Zentrum wird. Bestandteil von diesem Zentrum wird ein offenes Café sein. Im Social Center wird es eine Kochgruppe geben, die regelmäßig kocht und Essen zur Verfügung stellt. Eine weitere Gruppe will im Social Center eine Fahrrad-Reparatur-Werkstatt aufbauen. Für die Organisation des Zentrums und der weiteren Projekte soll ein gemeinsames Büro in dem Pavillion-Gebäude eingerichtet werden.